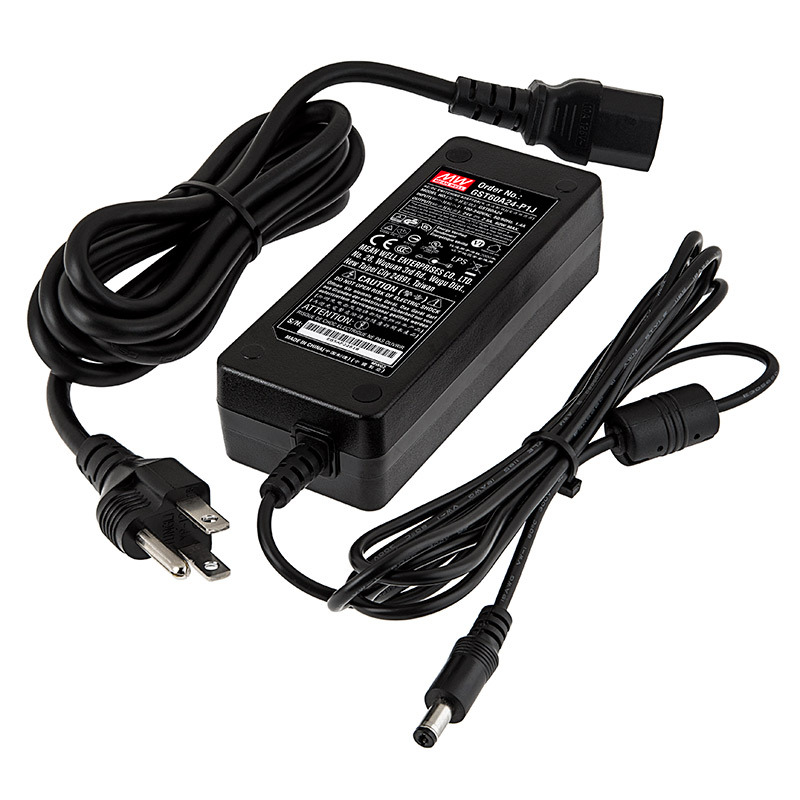 24V DC Desktop Power Supply. Input: 90~264V AC. Output: 24V DC. Consumes 60 watts of power. AC in and DC out cables. DC Jack is standard 5.5mm barrel connector. UL Listed. Made by Mean Well. Price for each. 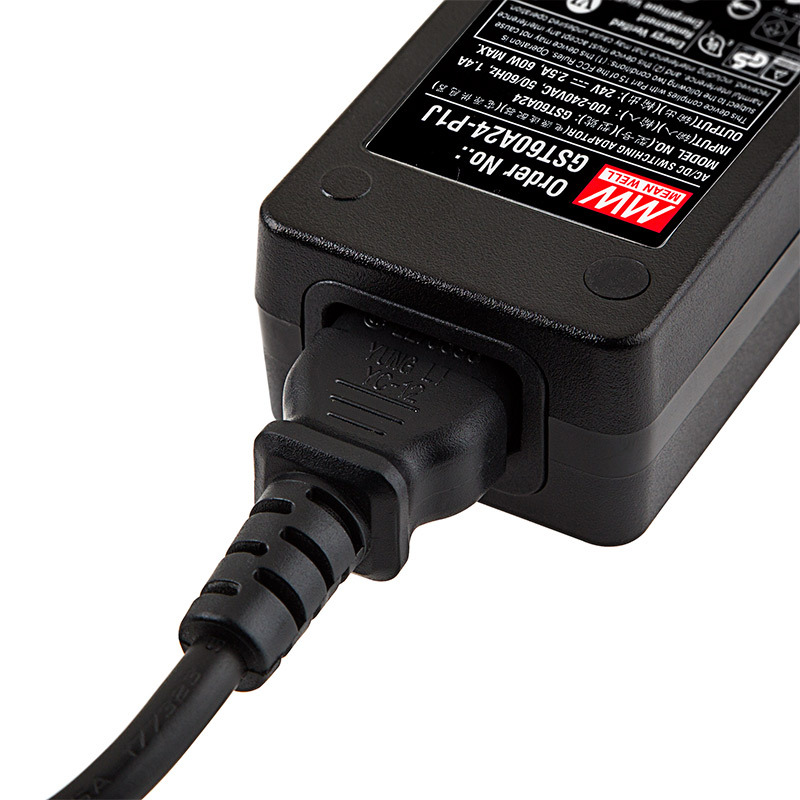 See our Power Supply Selection Guide. 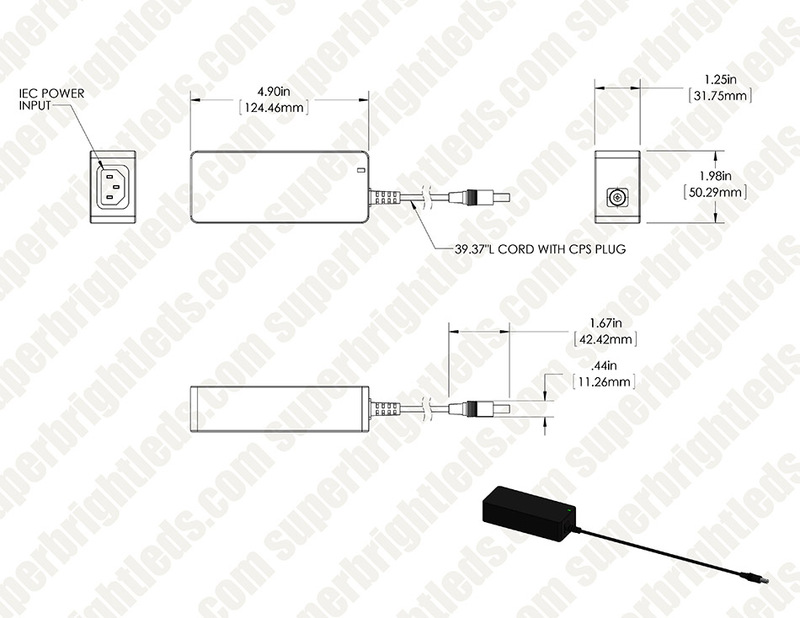 This is the 24 volt version, a 12 volt version is available. 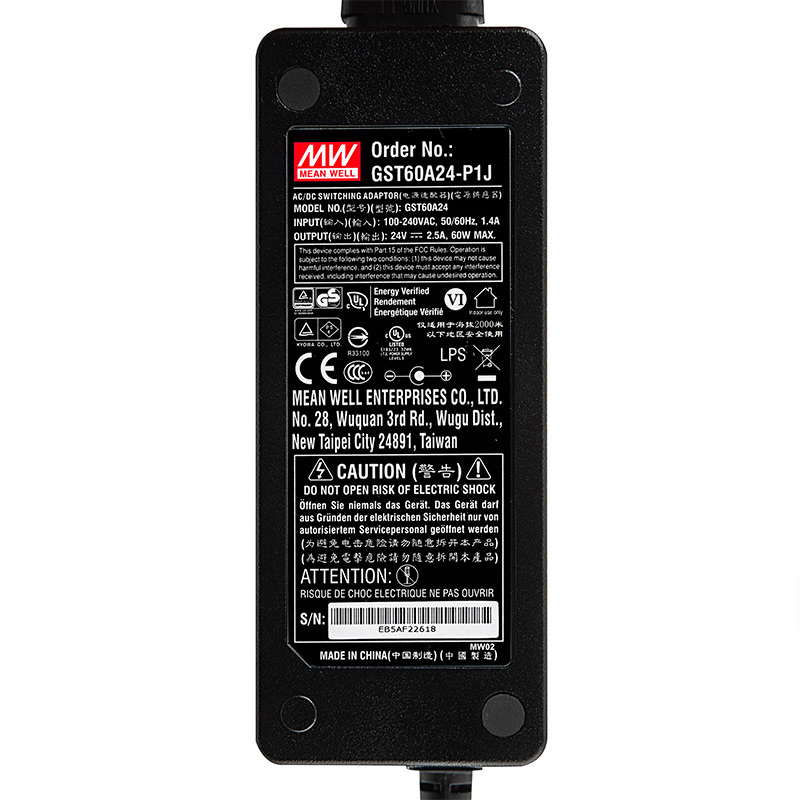 This power supply delivers on all it's accounts. The 110v power cable and 24volt cables are plenty long enough for my needs. Was pleasantly surprised on how small the main “box” was. Some power supplies I’ve used in the past, obvious power flickers could be noticed, but not this one! It has delivered smooth uninterrupted power when I need it. When low voltage LED installations are required to meet IEC61347-1 code requirements, we suggest products like the LPM-60-24 that carry the required certifications. Contact one of our Technical Support Representatives to help select the correct power supply for your needs.